RUSH: Well, somebody inside the Justice Department is getting impatient, folks. Somebody inside the Department of Justice getting very, very impatient waiting for the inspector general report. And so somebody who’s getting very, very impatient decided to leak some of it right before this program began. You don’t think that’s coincidental, do you? Because if you do you, it isn’t. Great to have you. 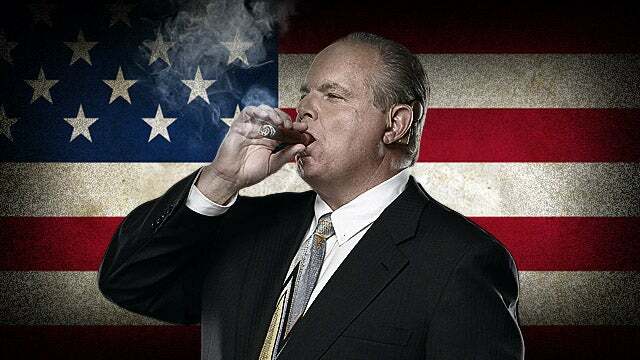 Rush Limbaugh, once again at the EIB Network. Telephone number, 800-282-2882. Okay. The inspector general that conducted the 15-month investigation into the Hillary Clinton-FBI email investigation is named Horowitz, and the IG report has ostensibly been completed for three weeks. As is customary, the IG report is circulated so that people who are mentioned and named in it get a heads-up. From what I understand, this is standard operating procedure. Some people might think it’s kind of weird, letting the guilty or the potential accused get a heads-up on what’s coming. But, apparently, it’s SOP. Well, people have grown impatient. What’s the deal? The one thing I pointed out yesterday — I find this fascinating — the day after I point out that there hasn’t been a single leak from this thing circulating in front of all kinds of eyeballs at the Department of Justice, and who knows wherever else, not one leak. And then the very next day, today, we have a leak to ABC News that ends up one of the lead items on the Drudge Report. “DOJ Watchdog Finds James Comey Defied Authority as FBI Director, Sources Say.” Loretta Lynch is also mentioned in this leak as having been singled out for lackadaisical performance and defying authority and allowing her authority to be defied. Now, we don’t know any more than that, essentially, but it’s clear somebody’s growing impatient with this. But the fact that there haven’t been any leaks, the thing I mentioned yesterday, the fact there haven’t been any leaks when everything else in this town is leaking and every other leak in this town is an anti-Trump leak or an anti-Trump attack, the fact that there have been no leaks from this thing told me — and I mentioned it yesterday — that it must be pretty bad for the people who are named in this thing. They wouldn’t want it out there, and so it isn’t. Except now it is. Now, this leak that Comey defied authority as FBI director, I don’t want to let anybody down, but we all knew that. I guess it’s a big deal to have it officially referenced and documented as part of an official investigation by the inspector general of the Department of Justice, but the moment Comey went out there and did that July 5th press conference where he, in the end, exonerated Crooked Hillary, where he listed every crime that she’s committed in having the server, using the server, trafficking in classified information. And then at the end of it says no reasonable prosecutor would ever bring charges on any of these because we couldn’t find any intent. Well, they made it up. There is no intent in the statutes that Crooked Hillary violated. And intent is not very often a defense anyway. 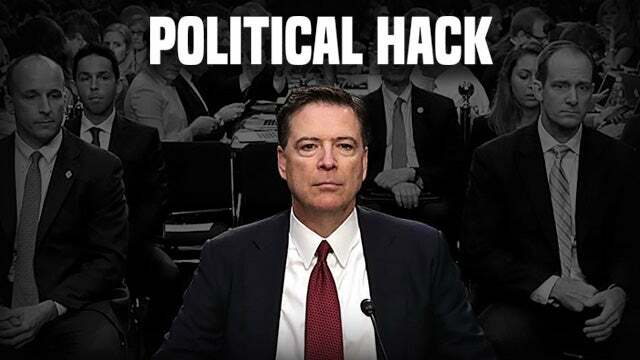 It is on a couple of occasions, but on something like this there are people in jail for what Crooked Hillary did and for which James Comey exonerated her. But, look. I don’t want to let anybody down; but we don’t need the IG report to tell us that Comey overstepped his authority. The FBI director does not determine who gets prosecuted. The FBI director doesn’t make that decision. That is the attorney general. But after she had met with Bill Clinton on the tarmac, everybody knew, well, she’s out, even if she doesn’t recuse herself, she’s now tainted, which was probably Clinton’s intention. Because Clinton was already on the ground at the airport in Phoenix when somebody told him that Loretta was taxiing in and he said, “Well, let’s wait for her to get here. I want to bop over there and say hi.” And she allowed him onto her plane, where they had a conversation about grandkids, of which she has none. So at that moment she’s tainted. She can’t go out there and tell people she is or isn’t gonna bring charges against Crazy Hillary or Crooked Hillary after being on the airplane with Crooked Hillary’s husband. So Comey goes in there and assumes the role of attorney general and starts explaining how he’s not gonna charge her, he’s not gonna bring charges, he’s not gonna recommend charge, because nobody in their right mind ever would. Now, I don’t know if there are other references in this report to Comey having defied authority as FBI director. I hope so, because there are probably many other instances. One source leaking to ABC said that the draft report from the inspector general explicitly used the word “insubordinate” to describe Comey. Another source agreed with that characterization but could not confirm the use of the term. In the report, the inspector general Michael Horowitz also rebuked Loretta Lynch for her handling of the investigation into Crooked Hillary’s personal email server. Now, Trump has been tweeting and asking, “What’s taking so long with this report on Crooked Hillary and Slippery James Comey? Hope report’s not being changed and made weaker.” And with these people involved, that is always a distinct possibility. This thing’s lurking around up there, no leaks forthcoming whatsoever. The original guesstimate was it was gonna be released before the end of May. We’re now up to June 6th, and it still has not been released. So somebody’s getting antsy up there and decided to leak the thing out. ABC says there is no indication that the president has seen or will see a draft of the report before its release. Horowitz, however, could revise the draft report now that current and former officials mentioned in it have offered their responses. That’s standard operating procedure. IG reports are then shown to people named, they have a chance to make their case, have the IG then change what he has written, and no doubt a lot of that has been going on. Now, in an interview back in April, the Clinton war room political operative George Stephanopoulos operating under the guise of a journalist at ABC News as chief anchor interviewed Comey, part of Comey’s book tour, and he said, “Look, if Attorney General Lynch had ordered you not to send the letter, would you have sent it?” “No. I believe in the chain of command.” But he obviously doesn’t, because he totally usurped the authority of the attorney general in deciding — not recommending — in deciding that Crooked Hillary would not be prosecuted. So this is the beginning of what appears to be a leak salvo. We’ll see if there are any more forthcoming. But people are gonna begin asking, “Where is the report anyway? Why is this taking so long? Why do the people named in it get so damn much time to make their case?” This investigation was 15 months long. And again, this IG report has nothing to do with the FBI investigation of the Trump campaign and whether or not there was a spy or an informant. The only overlap is Comey, who played a role in both stories. And there probably is gonna be overlap with McCabe. 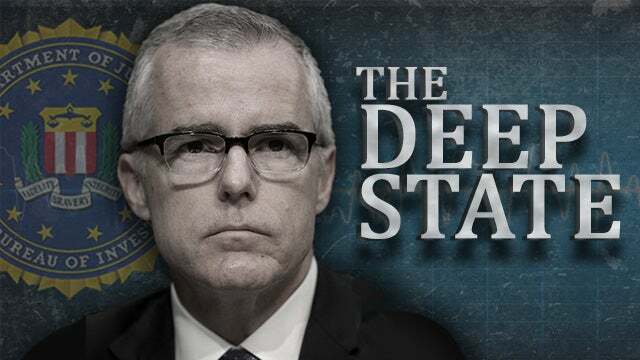 Now, McCabe’s story is interesting right now. McCabe has a lawyer. And this lawyer’s name is Michael Bromwich. And I know a little bit about Bromwich because he was nominated by a district judge, chosen by district judge with whom he had a very, very close relationship to be the court-appointed special master at Apple, after Apple lost an antitrust suit on price fixing regarding electronic books, which was a crock. Amazon was fixing prices, and they had been selling e-books long before Apple got in the business. Anyway, I don’t want to relive the case. This guy was sent to Apple for a period of a year to basically spy on ’em and to make sure that they behaved according to the direction of the court in not engaging in price fixing. And when he got there, this Bromwich guy demanded to constantly meet with the CEO and the executive team, he demanded to see state secrets, trade secrets for Apple supposedly in his quest to keep them honest. Apple twice requested of the judge who appointed Bromwich to get him the hell out of there because he had gone way beyond his authority, and the judge told Apple to pound sand twice. The guy eventually left after having performed his duties, but he’s a genuine pain in the rear. And he was paid an exorbitant amount of money to get an office and basically just harass them out there. And he’s a swamp dweller. He’s a classic example of a Washington, D.C., lawyer swamp dweller. He is McCabe’s attorney. You may have heard that McCabe is asking for use immunity. Congressional committees want to hear from McCabe on a whole bunch of things regarding the Trump and Russia collusion investigation. And McCabe is demanding use immunity, and his lawyer, Bromwich, is saying that this is a perfect example, a classic example of use immunity. ‘Cause if he doesn’t get use immunity, he’s gonna take the Fifth Amendment. So he’d have to testify against himself. And then that’s gonna put the onus back on Congress to force him to come up there, answer subpoenas and answer questions McCabe clearly doesn’t want to answer. Now, Dawn, as a court dweller veteran, you know what use immunity is as opposed to other immunity. But let me explain what use immunity is ’cause it’s a legal term that gets bandied about. What McCabe is asking is that none of what he says can be used against him after he says it. There is limited use immunity; there’s full use immunity. He’s asking for the full boat. So the practical result, if he is to be granted use immunity, is that he can go up and answer anything and tell anybody what they want to hear, and at the end of it, it’s as if he has said nothing. They cannot prosecute him or chase him. Interestingly enough, this is the exact kind of immunity Oliver North was granted during the Iran-Contra hearings. Now, many of you may not remember what happened in those hearings. It was 1987. The Iran-Contra scandal was essentially the allegation that the Reagan administration had been working with the Contras in Nicaragua, who were the American-related freedom fighters opposing a Soviet beachhead in Nicaragua. The Sandinistas were the communists let by sunglass aficionado Daniel Ortega, who was a close buddy of the Democrat Party — and Peter, Paul and Mary who took him on his sunglass shopping tour on Fifth Avenue on a trip to New York. Well, Oliver North was part of the Reagan administration, which was alleged to have found money from outside the Congress to funnel to the Contras to oppose the Sandinistas. Hence the name Iran-Contra. They were so desperate to get Ronald Reagan, the Democrats and the Iran-Contra committee. They were so eager, so eager to get Reagan that they granted North “use immunity” before finding out what he was gonna say — and he just steamrollered over them. And North said, “What, I missed one? Are you telling me I didn’t get ’em all?” And the place erupted like… They couldn’t do anything to him ’cause he had use immunity, and North ran rings around them and made mincemeat out of them because they had failed — and I cannot believe that, because that’s the first thing lawyers learn after they learn trick questions to trip up doctors. That’s the first thing lawyers learn in law school: Trick questions in court to screw doctors around. After that… (interruption) Well, I know this ’cause my dad was a lawyer. The next thing they’re told is about immunity. You never grant immunity to anybody that you don’t know what they’re gonna say. They did not. That’s not gonna happen with McCabe. That mistake’s not gonna be made twice. But McCabe is demanding it, this lawyer Bromwich — and if they don’t get it, they’re gonna plead the Fifth Amendment. Now, there’s a related story running around here today involving McCabe and Lisa Page that indicates the Trump-Russia spy operation may have begun in December 2015, and I would be very wary of that. That just… Nobody knew in 2015 that Trump would win the nomination. Nobody knew who the nominee was gonna be. I think… If I may share my brief personal opinion on this, I think the big event of 2015 was Hillary Clinton revealing her private, illegal basement, Chappaqua, New York, email server. And when she revealed that she was using an illegal server outside the State Department network — and that she was sending classified data back and forth on it — and when that appeared to entrap Obama… Because Obama was sending her emails, of course, and everything the president does is classified automatically. So she’s trafficking in it, and Obama lied later and said that he didn’t even know about this until he read it in the media. But that’s not true because he was sending her emails, and her address did not have the state.gov suffix on, which would have been for the official network. But I think what happened when she revealed this… Remember, these people, their future is all tied to the Democrat Party maintaining the White House, the establishment maintaining its power. When Hillary announced this, I think they melted down, at the FBI, McCabe and all these other people. I think they began to fear, “My God, she could actually lose — and before she loses, she could actually end up going to jail for this!” I think they began to circle the wagons to protect and exonerate Hillary Clinton not long after she announced this, which would happen to be 2015. The idea that they’re recruiting spies in 2015 to spy on the Trump campaign? It’s possible, but, man, that seems like a big stretch to me. But we’ll see as it plays out. RUSH: Now, you know… You know that I never come here intending to dispirit you. And you know that I do not come here and espouse and whine and moan with pessimism as the general tone of the program. Quite the opposite. But I would be remiss if I didn’t observe something here. This leak of the IG report that says James Comey was insubordinate and that he was defying authority? Folks, I have to tell you: If that’s all the IG report says about Comey, then it is a grand-slam, home-run win for Comey. Of course, the media will swoon and think they’re looking at Obama Jr. and start applauding. Comey will say, “My country needed me to be defiant, my country needed me to overextend my authority, because look at what we’re up against! We’re up against corruption in the White House. We had corruption in the Department of Justice. And I, St. Comey, had to do whatever it took to save the day.” If that’s all this report says about Comey, then I’m just prepping you now that it’s gonna be a big win-win for the guy. I don’t think that’s the case, but it could be. RUSH: Vic in Indianapolis. You wanted to talk about the leak here from the IG report that Comey might have behaved in an insubordinate fashion. CALLER: Well, thanks, Rush, for taking my call. Rush, honestly, I believe that this report is like everything else that’s been out there. It means a bunch of nothing, because what leak in the last two years since Donald Trump was elected has really come to pass? What leak has been true? RUSH: True. This is the first leak from this report. So what do you think it is, then? What’s the purpose? CALLER: Well, honestly, Rush, I think that, you know, this is a continued deification of St. James the Comey. Because, you know, he started by, you know, sending Martha Stewart up the river, then putting her on a dog collar in home detention and stuff like that. You know, he’s always been Mr. Pure. So, you know, his book tour is done. Somebody in the Department of Justice that leaked this out. So, you know, it could continue the deification of St. James. It could be. But if this is all this report has on Comey, I’m just telling you it’s a grand-slam home-run win for him. If the only thing this report has on Comey is that he usurped authority and behaved with power that he didn’t have, believe me, he can turn that into, “Well, I had to! We had a corrupt FBI, corrupt DOJ and attorney general, had a corrupt Trump. I had to break the law. I had to go above and board to maintain the integrity.” That’s what his book’s all about. Time will tell. ZeroHedge: OIG Report Finds Comey "Defied Authority" And Was "Insubordinate"